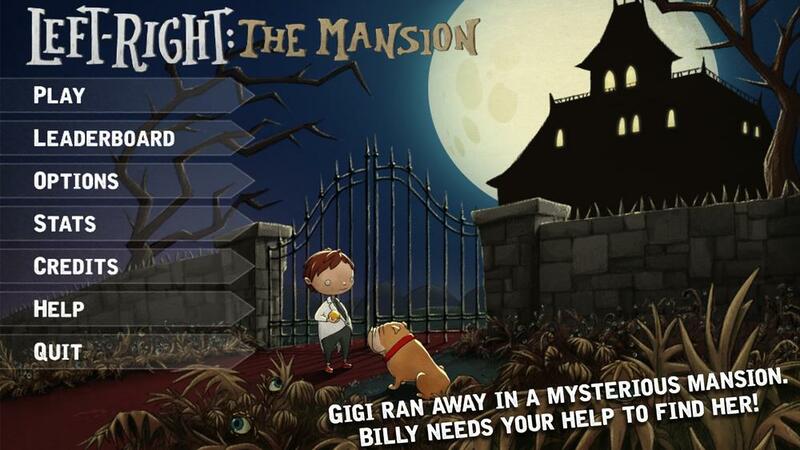 Left-Right: The Mansion is a small mobile game about a little boy, Billy, whose dog named Gigi ran away inside a big mansion. He must journey through this mysterious place, where he will have to find and memorize the right path in order to find her. Every room will challenge him with a simple choice to make: LEFT or RIGHT. Two doors, yet only one will make him go forward; the other one will bring him back to the beginning.